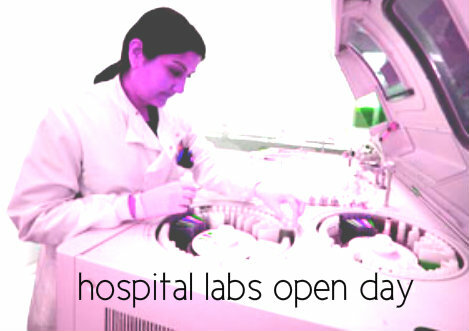 Leicester’s Hospitals are opening their exciting pathology labs to show the public exactly what goes into diagnosing its patients. Pathology plays a big role within Leicester’s Hospitals. Results are involved in over 70% of clinical decisions. They provide information which help with diagnosis, monitoring disease and even determining which treatments are best. The word ‘pathology’ usually makes people think about postmortems, but it’s so much more than that. Pathology is a diverse group of scientific specialisms which help treat and monitor almost everything, from diabetes and kidney function, right through to cancer, malaria and allergies. Not only is it varied, but it’s always changing. Research is constantly identifying new bio-markers to aid in diagnosis, and new tests to monitor disease. The practice is always evolving and no two days are ever the same. Dr Linda Barton, consultant haematologist and clinical lead for Pathology at Leicester’s Hospitals, said: “Without pathology, it would be difficult to accurately diagnose patients and manage them effectively, which would then impact on the quality of care that our hospitals can provide. Although we’re a reasonably small workforce, we make a big difference. “To help improve awareness about the department and the skills that are needed in Pathology, the team are opening its doors to help the public discover more and be inspired by the science. The tours include seeing tissue samples being prepared for testing, visiting the automated laboratory (which receives 10,000 samples a day) and looking at cells under the microscope. Dr Barton continues: “The goal is to let you know who we are and what we do, with a sneak peek behind the scenes.